GPN client William Beeson is well known to the online patient community as MrBee or Willie. His amazing story of multiple spine surgeries, complications, revision surgery and more complications is a horrible example of a worst case scenario that we all fear as we contemplate spine surgery. 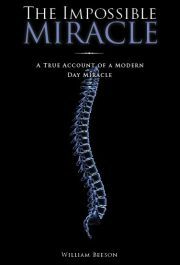 Science does not adequately explain his miraculous healing. As medicine and science failed him and his life teetered by a thread, read how Willie's faith and prayer prompted this 'Impossible Miracle'. "As the months wore on and I was certain that he was not going to survive, I was constantly amazed by his grace and courage in the face of such agony and a seeminly 'hopeless' situation. Following one of his appointments, after he'd left the romm, I asked his doctor to explain the science behind his miraculous recovery. He just shook his head and said, "It doesn't happen that way. I can't explain it. Willie's explanation of devine intervention is as good or better than anything I can offer." support the MGH Braintalk forums. GPN client Melody Beattie is a leading journalist and best-selling author. 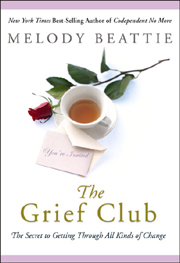 The Grief Club is Melody's profoundly personal, and powerfully healing book to help readers through life's most difficult times. Chapter 4, "Changing Bad into Betterment," chronicles Mark's transition from skydiver to soccer coach to spine patient, to disabled and depressed, then on to his new life and new career as a patient advocate. After Melody Beattie's young son died, she found herself welcomed into a new club -- a circle of people who had lived through the tragic oss of a child. This was not the first club in which Beattie unwittingly found herself. Years earlier she took part in a Twelve Step group, at first balking, then later embracing the healing principles she now credits with saving her life. Through these and other experiences, Beattie discovered a secret for getting through life's losses: by being present with and for others who've been there. If we're alone, we can't see who we are. When we join the club, other people become the mirror, she writes. Through them, we see ourselves and gain an understanding of what we're going through, she adds. In turn, with time, we become that mirror for others. As Americans, we pride ourselves on having the best of everything, but when it comes to health care, compared to other industrialized nations, we pay more for the same services; receive more complex, unnecessary procedures; and leave the neediest of our population uncared for. That's because a profit-driven health-care system tends to do what's best for shareholders rather than what is in the best interest of the patient. Mahar does an excellent job of explaining how we went from the individual family doctor who made house calls to the bureaucratic, faceless, broken system we have today. As far back as 1970, it was recognized that health care in this country was wasteful and inefficient, so much so that President Nixon actually sided with the Left and proposed a national health-care system in 1974 (it was derailed by Watergate). 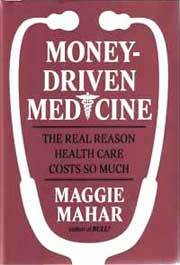 Whether the fault of drugmakers, insurers, doctors, hospitals, HMOs, big government, or trial lawyers, American health care is careening off a cliff, and Mahar is to be praised for bringing clarity to one of the most complex issues of our times.